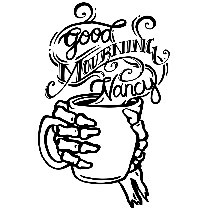 Buy Good Mourning, Nancy a Coffee. ko-fi.com/goodmourningnancy - Ko-fi ❤️ Where creators get paid by fans, with a 'Buy Me a Coffee' button. GMN is a horror movie podcast hosted by long-time friends Gracie & Abbey! They both love drinking coffee and talking about their favorite scary films together (and with YOU)! Welcome to our Ko-fi Page. If you enjoy our content, please consider supporting our podcast by feeding us with COFFEE! We love you all to death! Have a good "mourning"! Secured Payments. Support goes to Good Mourning, Nancy's account. Upgrade Good Mourning, Nancy to a yearly Gold Membership with a one-time payment.